Starting my Spain adventure in the beautiful city of Madrid. 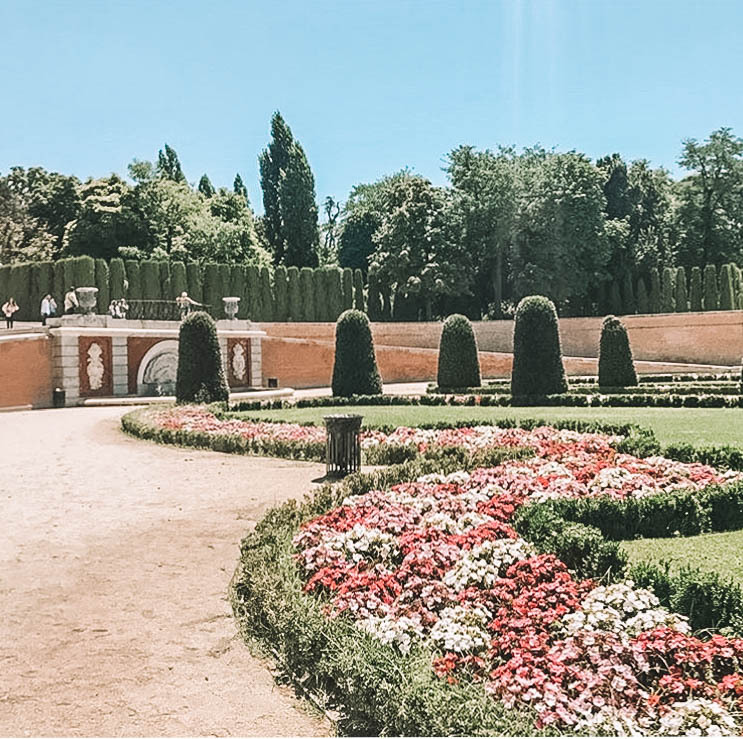 Here are a few places you need to visit when planning your trip in Madrid! Madrid is Spain's capital city that offers an array of attractions and activities. 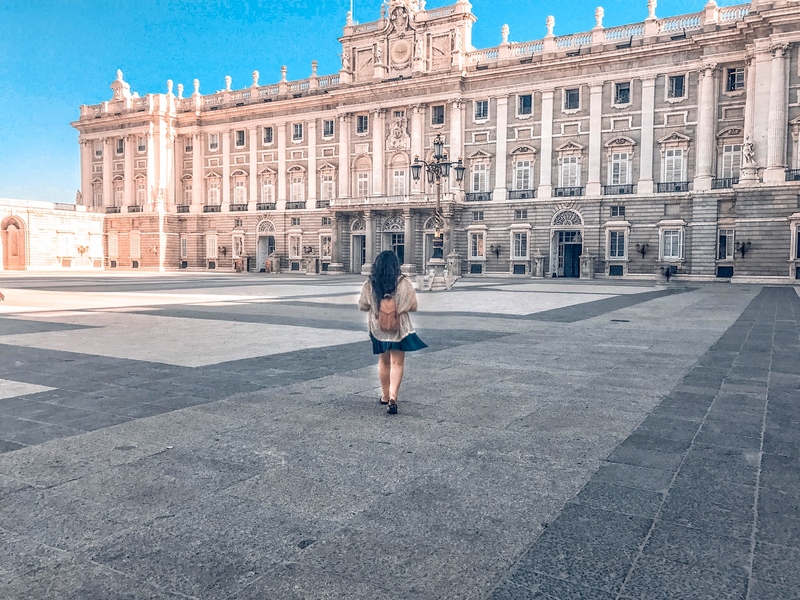 When people think of Spain they usually mention Barcelona, but let me tell you Madrid has a lot of things to offer and hopefully this post changes your mind and makes you want to book a trip to Madrid right away! 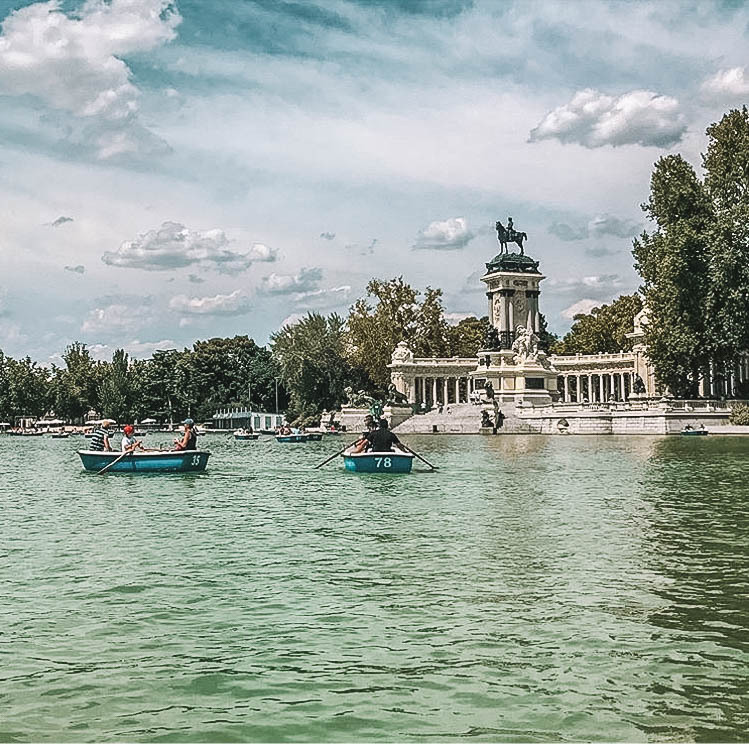 Offering world class museums, shopping, amazing cuisine, and outstanding architecture Madrid is a vibrant city that will leave you wanting more. Although you see old architecture while walking down the streets theres a lot of modern touches around the city. Madrid's metro is one the most cost effective and faster ways to get around the city. The metro stations are all clean and modern and usually run from 6am to 1:30am and cost less than two euros per ride. Madrid has always been a city I've been dying to visit. This isn't my first time in Spain, I actually visited Barcelona three years ago when I went on my first Europe trip with Contiki. The short time that I was there, I instantly fell in love with Spain! After solo traveling in Morocco for eleven days, I booked another Contiki trip to tour all around Spain for two weeks. If you want to read more about this tour and the pros and cons (click here) to get more information. I arrived a day early before the tour started to explore on my own and relax. After checking in my hotel (click here) for a full hotel review; I immediately changed to go walk around and see what the city was about. There's something about this city where I just feel like I could see myself living here. Madrid has such a relaxed vibe yet a fun ambiance, I feel like it's underrated by tourists. 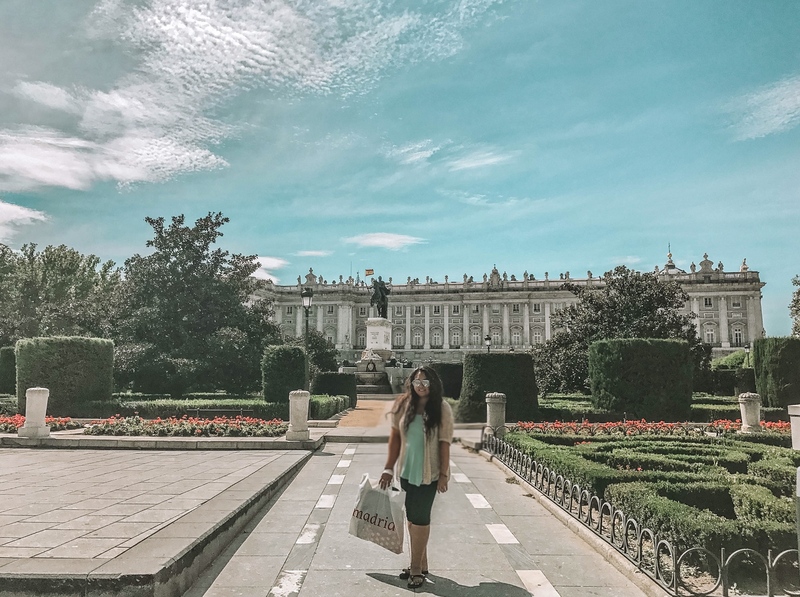 Here are a few places to go check out when visiting Madrid. 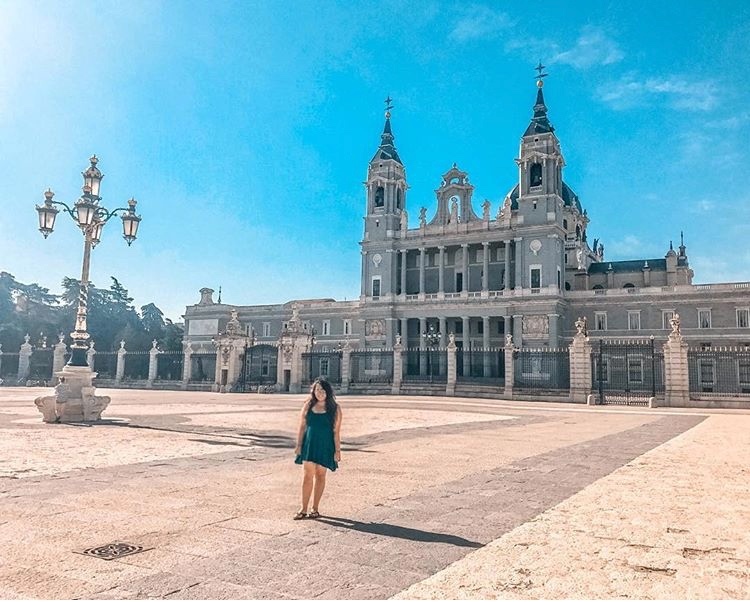 El Palacio Real de Madrid is the official residence of the Spanish royal family but it's currently only used for state ceremonies. Visiting this palace is included on the tour package and we were there bright and early to tour the inside. 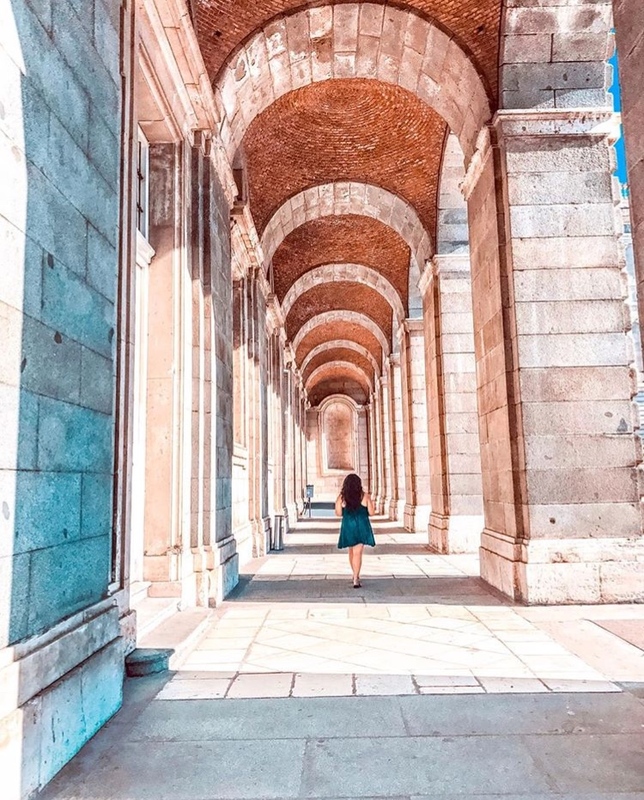 Not only is the architecture breathtaking on the outside but it's very impressive on the inside. You are only able to take photos in one area and it is prohibited to take photos throughout the palace. But let me tell you, you will in awe going through the rooms inside the palace. From the decor, detailed artwork, and extravagant interior design, it's just so beautiful. It's very well worth visiting here, you won't regret it! 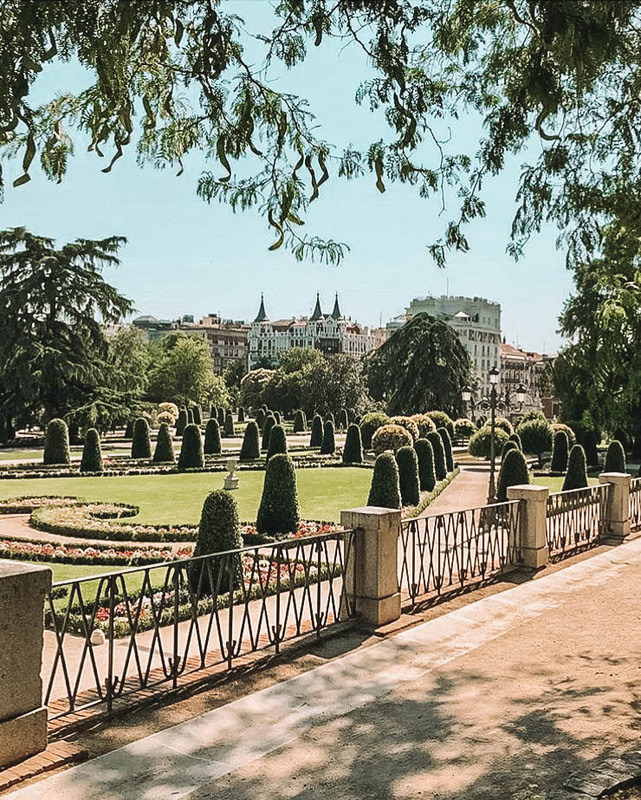 El Parque de Retiro, is one of Madrid popular parks. You'll find many people walking around, running, and rowing boats on the lake. 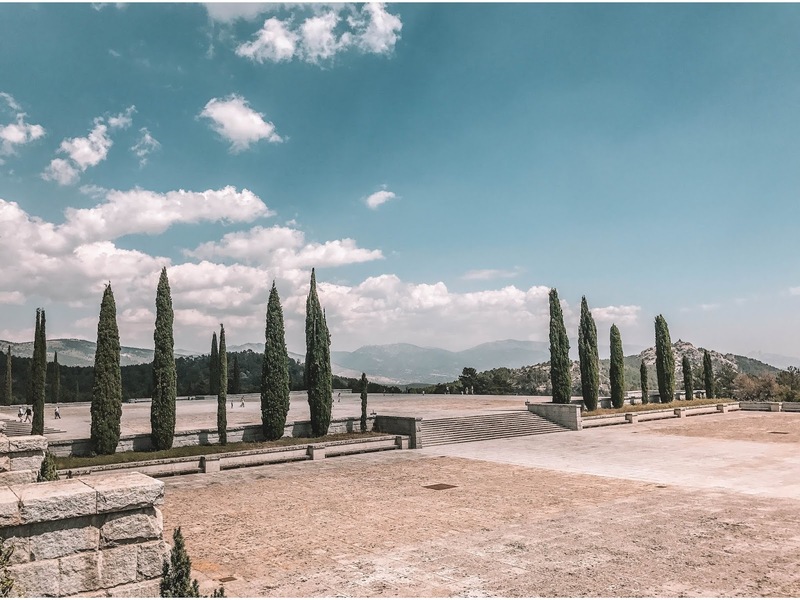 There's many sculptures, monuments, gardens, and events that take place here during the summer such as book fairs and free concerts. 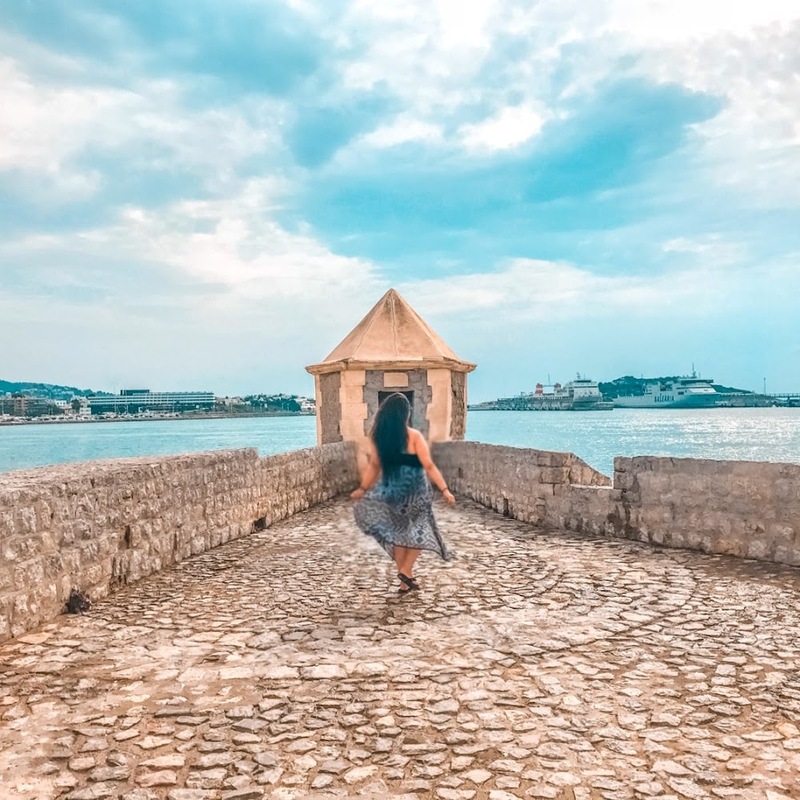 A fun fact to note is this park use to be only available exclusively to the Royal family during the seventeenth century. It's such a beautiful park, I definitely recommend checking it out! Tour the Santiago Bernabèu Stadium. You cannot come to Madrid and not visit the infamous Santiago Bernabèu Stadium. 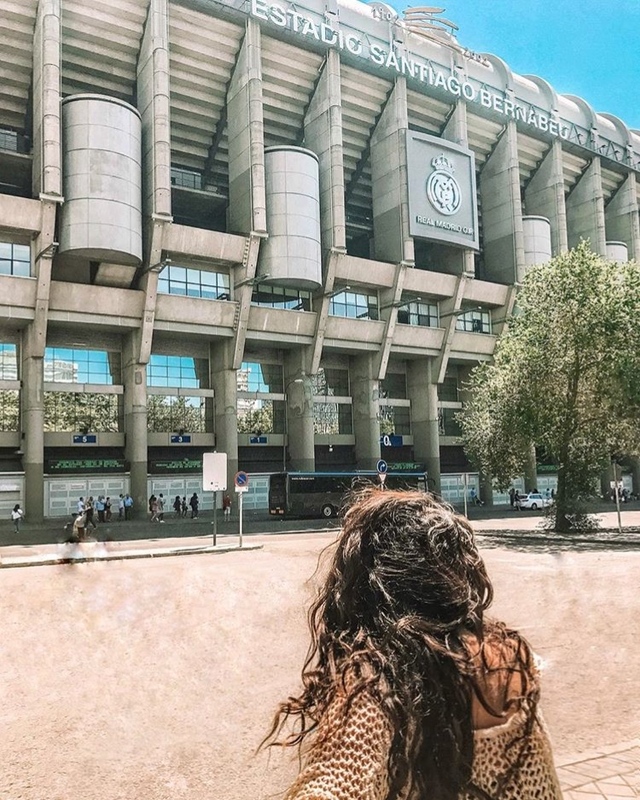 Whether you're a soccer fan or not, this stadium and the Real Madrid team is a huge part of Spanish culture especially to the city of Madrid. I have a separate blog post (click here) talking about my experience in detail and letting you know some tips before visiting the stadium. I highly recommend doing the stadium tour, it's something you won't regret! El Valle de los Caídos is a controversial site within Spain. 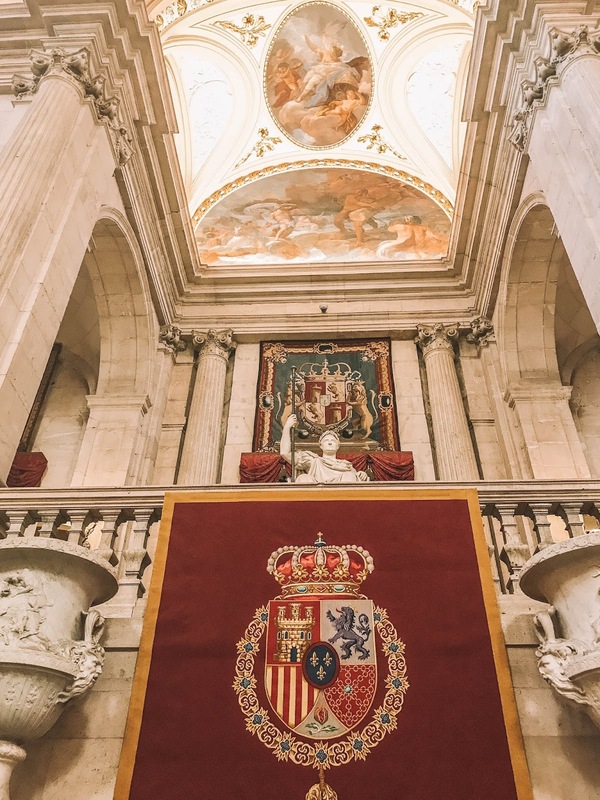 It's a mausoleum that houses the fascist dictator that once ruled Spain. 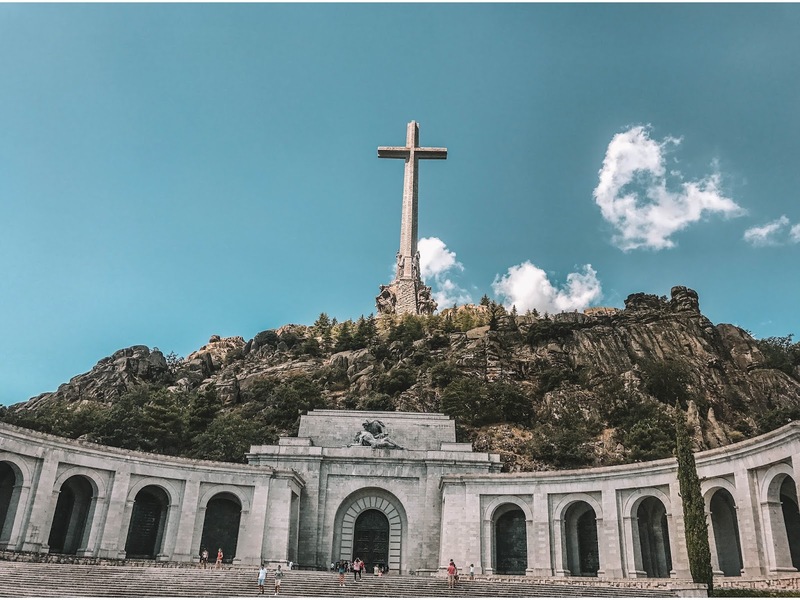 Because of it's dark history, many Spaniards are against visiting here but also are protesting to get the dictator's tomb removed from the site. Although you can't take pictures inside, the architecture is very impressive yet there's a eerie feeling when walking around. This was a Contiki optional excursion, it's located an hour outside of Madrid so you have the option whether you want to visit or not. 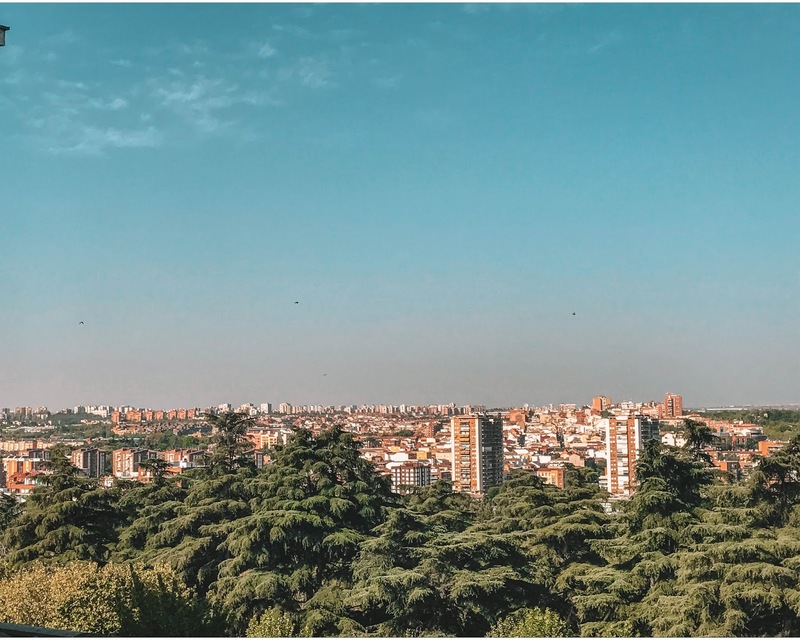 There are many rooftops in Madrid that I highly recommend checking out. Not only do you get spectacular views of the city but you can enjoy a drink or two while taking it all in. This specific rooftop is located at the Círculo de Bellas Artes. Walk Around/ Shop / Eat. The best way to experience any city is by foot. 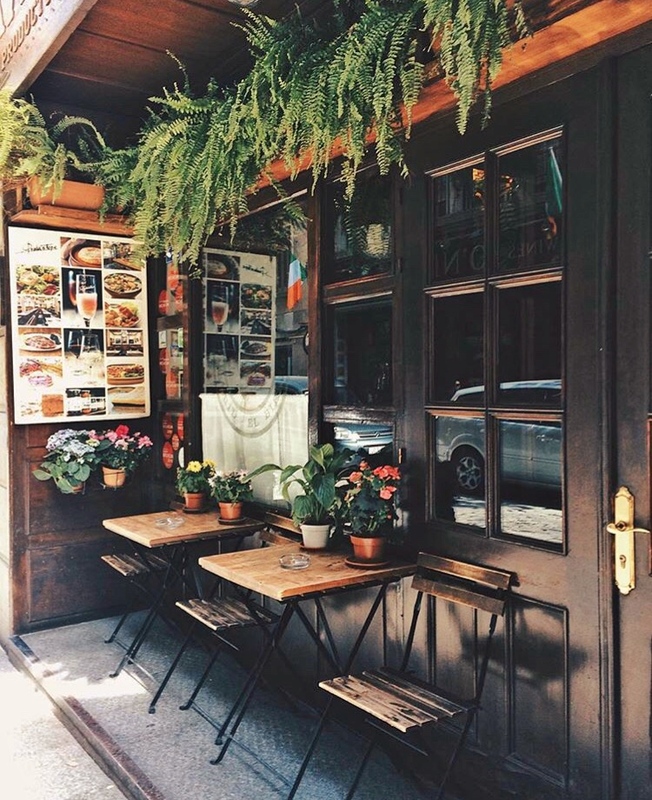 Walk around to discover hidden gems and different neighborhoods. 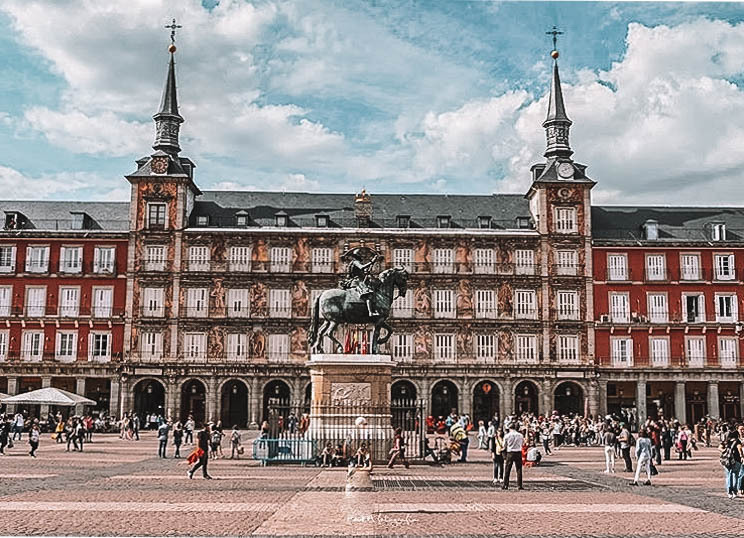 Visiting the main square, Plaza Mayor and walking around La Gran Via is a great street to walk and get your shop on. There's an endless amount of souvenir shops, department stores, and anything else you can imagine. Spanish food is one the tastiest cuisines and also one of my absolute favorites. Go try new foods and try out different cafes and restaurants during your stay in Madrid. Spain is known for it's nightlife, you don't have to go to Ibiza to party hard. 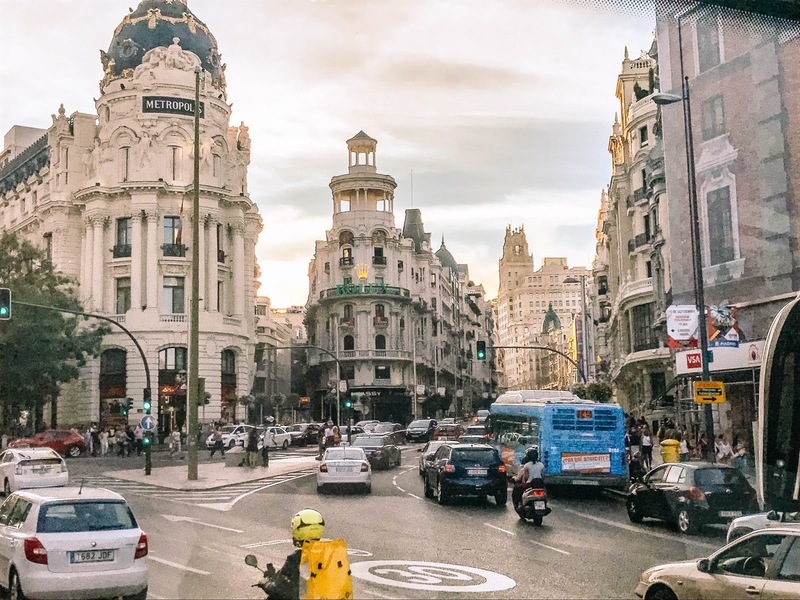 Madrid has many bars and clubs near the city city center that offers a recipe for a good night, good drinks and good music what more can you as for? 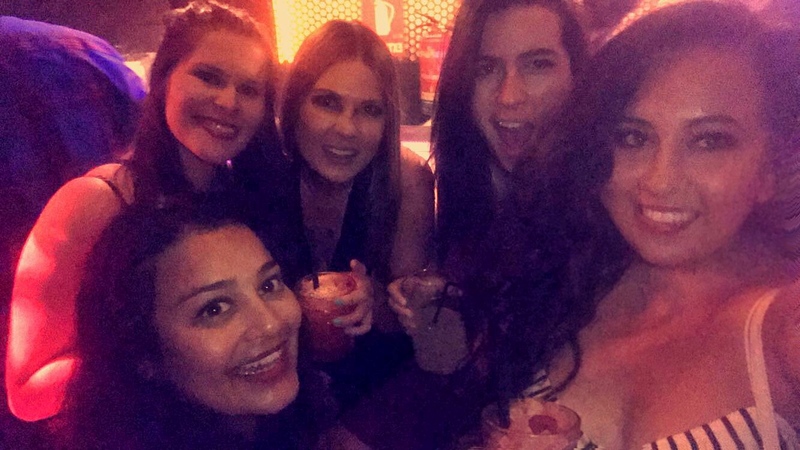 The party doesn't really start till after midnight so be prepared for late nights and coming back to your hotel in the early morning hours. But nonetheless, you have to experience if you're not familiar with the Spanish culture, it's something worth experiencing! 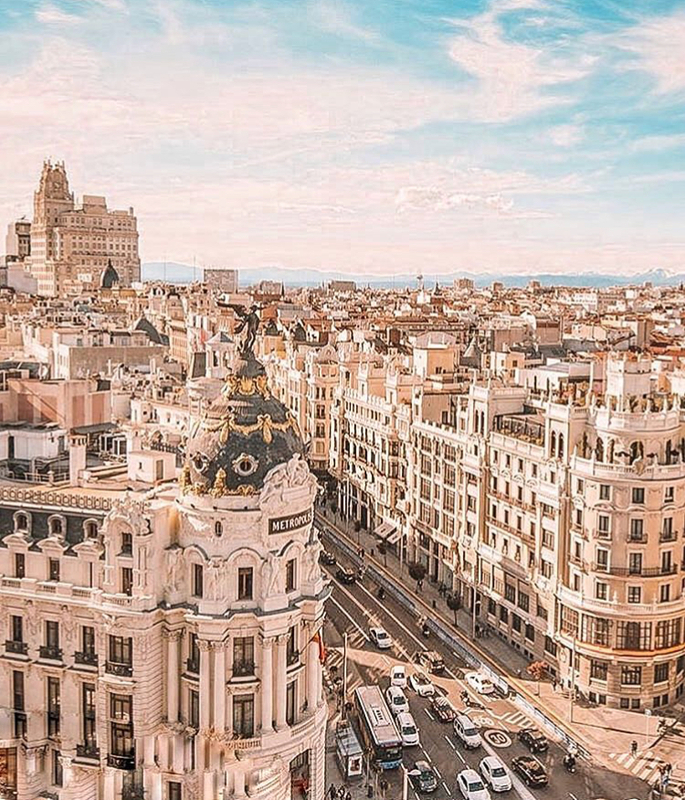 Have you been to Spain before, if so what was your favorite city? Such amazing photos! Looks like a great trip! Looks like a lot to do there in Madrid. Those rooftops are spectacular. What a fun trip. Yes the rooftops are amazing! 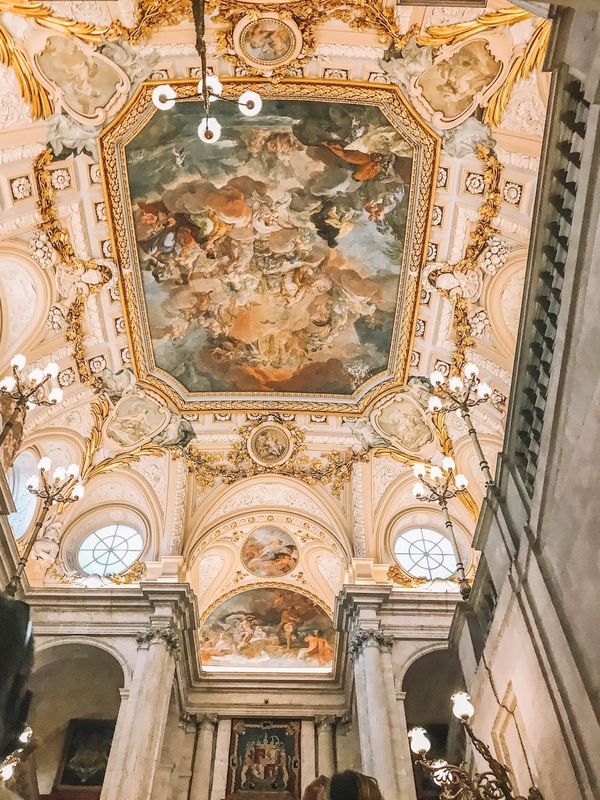 The photos of the Royal Palace is enough to make me want to pack up my stuff right now and head to Madrid! I’m convinced I need to make that my next trip! 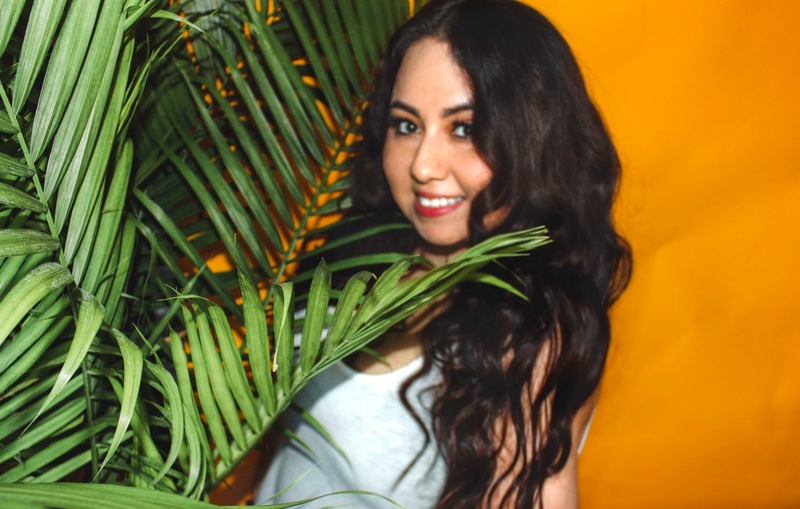 I'm so happy to hear that my photo's make you want to make it your next trip!